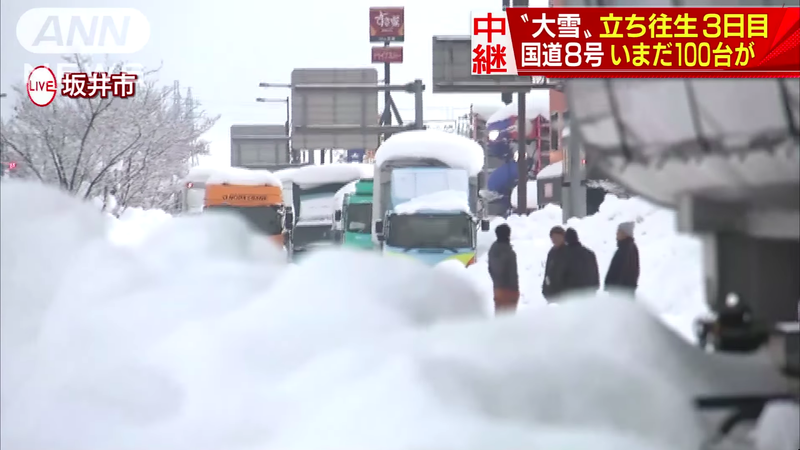 A snowstorm shut down not only Highway 8 running through Sakai City in Osaka, but also the nearby dumpling shop Gyoza No Osho. Not wanting to let the restaurant’s food go to waste, employees banded together to cook up some 500 meals for the drivers stuck in the miles-long traffic jam cutting through the neighborhood. Heavy machinery to clear the snow is having a harder time reaching the road than hot food, sadly.